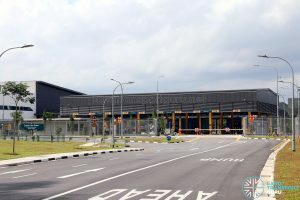 Seletar Bus Depot is a bus depot near Yio Chu Kang, bordered by Yio Chu Kang Crescent, Seletar Expressway (SLE) and the Sungei Seletar Simpang Kiri canal. 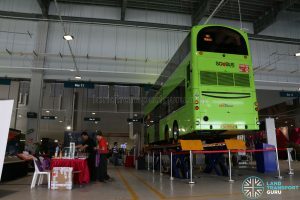 The depot is presently occupied by SBS Transit as the successful tenderer of the Seletar Bus Package, the third route package under the Bus Contracting Model (BCM). 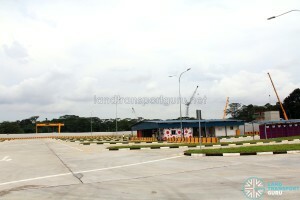 During the construction phase, the depot was also referred to as Sungei Seletar Bus Depot. 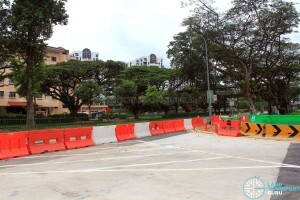 The bus park, which was constructed first, was previously also used by SBS Transit used for the overnight parking of buses while the rest of the depot was under construction. 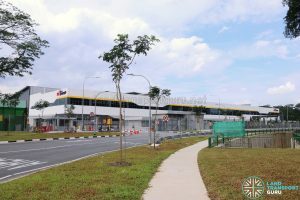 Seletar Bus Depot (formerly Sungei Seletar Bus Depot) was commissioned by the Land Transport Authority (LTA) to accommodate additional buses being introduced over the years, as the overall bus capacity increases under the Bus Service Enhancement Programme (BSEP). 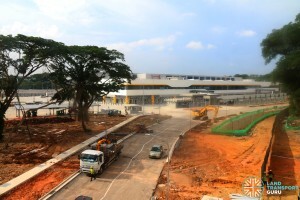 Under the Bus Contracting Model, the Depot was then allocated to the Seletar Bus Package. 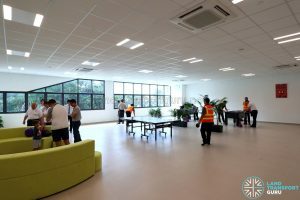 The depot was designed to accommodate 525 buses and is equipped with facilities for daily bus operations, bus repair and maintenance, bus parking areas, offices, a rest area for bus drivers, and a canteen. 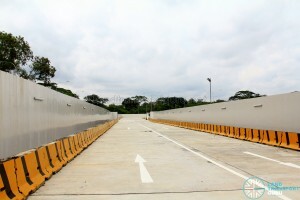 An access road linking to Yio Chu Kang Road and Lentor Avenue (named Yio Chu Kang Crescent) was built to serve the depot. 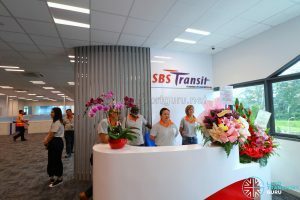 The bus depot was handed over to the first incumbent, SBS Transit, in August 2017 for outfitting and preparatory works before the Seletar Bus Package commenced operations. 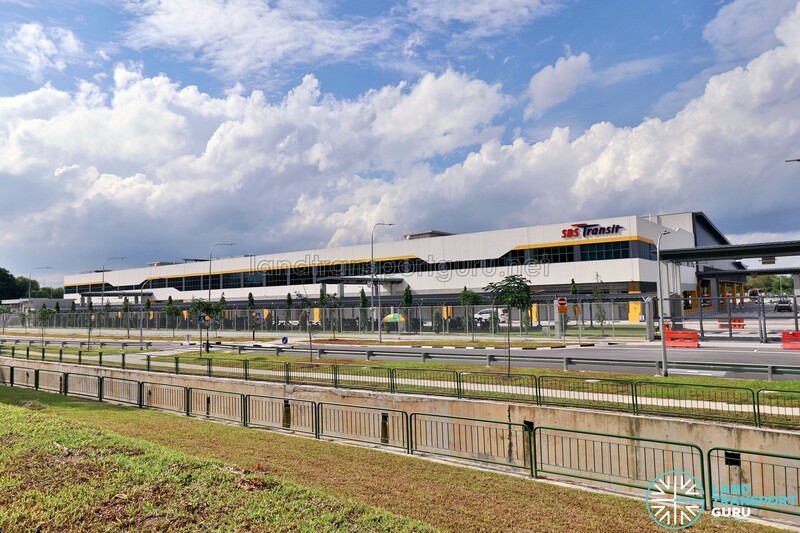 Contract RD299 for the construction of Sungei Seletar Bus Depot was awarded to Tiong Seng Contractors (Private) Limited / T.Y. Lin International Pte. 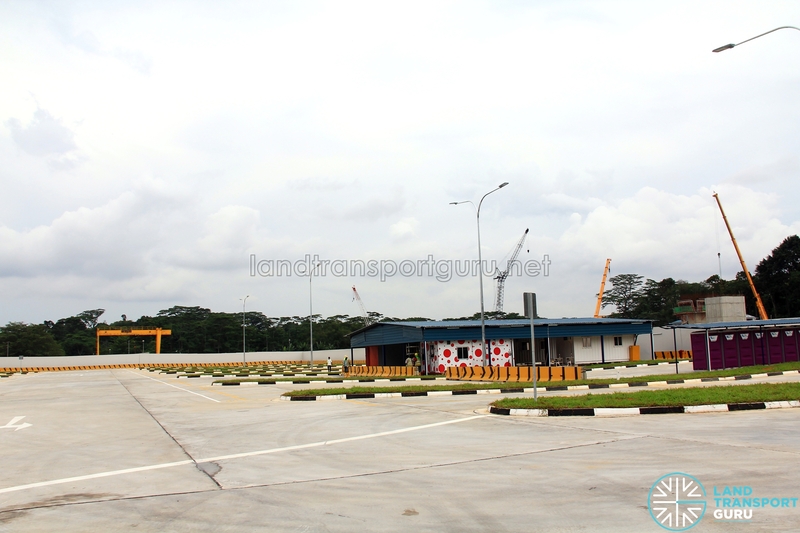 Ltd. for S$72.9 million in October 2015. 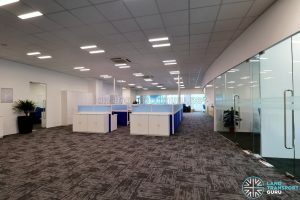 Construction was completed in 3Q 2017. 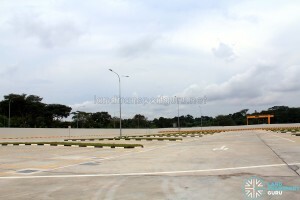 The 96,000-square-metre depot boasts many features. 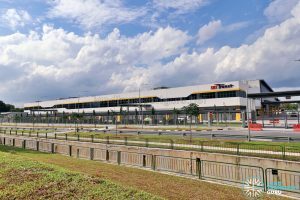 The green roof of Seletar Depot reduces energy consumption by about 10% as it lowers the temperature of the building. 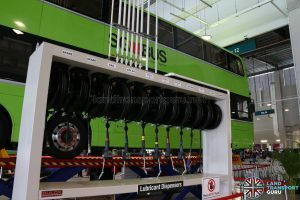 The automatic bus washing system recycles about 80% of the water that is used in the washing process. 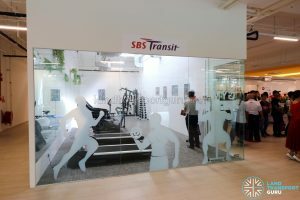 Free Wi-Fi access, handphone charging stations and a modern gym are just several of the amenities provided at Seletar Bus Depot. 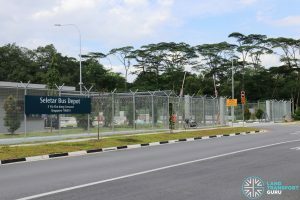 In December 2016, SBS Transit took over the newly-completed bus park for the overnight parking of its buses, relieving pressure off its nearby Ang Mo Kio Bus Depot. Several shipping container offices under a large shelter made of corrugated metal hoarding sheets formed the main depot building. 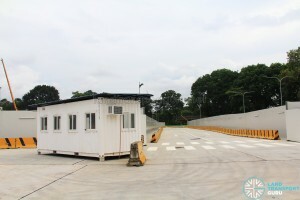 A row of portable toilets are located nearby, and another shipping container office at the vehicular entrance/exit doubles up as a guardhouse. The rest of the depot remains under construction. 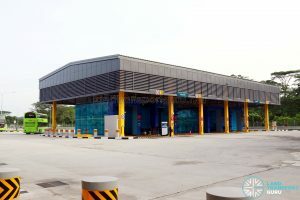 A similar arrangement was used at Bulim Bus Depot for the parking of SMRT Buses between August 2014 and July 2015, and then continuing for several more months even after the depot was handed over to Tower Transit. 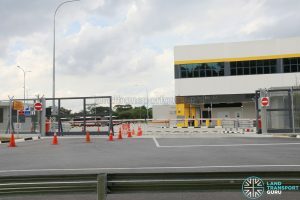 At Loyang Bus Depot, its completed bus park was used for parking of newly delivered and unregistered SBS Transit Mercedes-Benz Citaros for Bedok North Depot between March and December 2015. 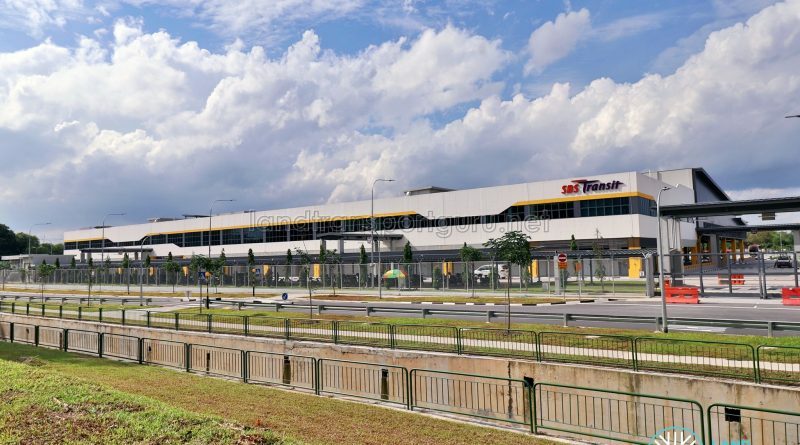 SBS Transit operated an employee shuttle service between Ang Mo Kio Bus Depot and Sungei Seletar Bus Park. Additionally, existing Employee Bus routes were been amended to serve the depot. On Wednesday, 19 April 2017, LTA announced SBS Transit Ltd as the winner of the Seletar Bus Package. 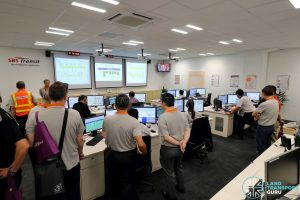 As a result, Seletar Bus Depot was officially handed over to SBS Transit in August 2017 to allow them sufficient time to expand their current operations by recruiting and training bus captains and technicians. 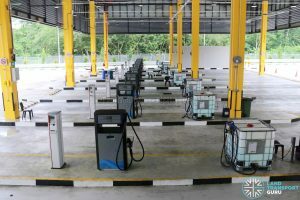 On 23 December 2017, from 1800hrs, SBS Transit bus services under the Seletar Bus Package started refuelling and garaging at Seletar Bus Depot. 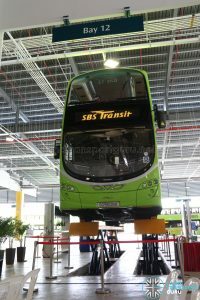 This is in addition to the other bus services such as 13, 72, 128, 168 & CT8 which were then already garaging at Seletar Bus Depot. 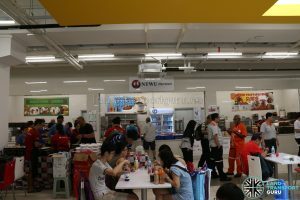 These non-Seletar Package bus services were shifted back to Ang Mo Kio Bus Depot when the Seletar Package officially kicked in the first half of 2018. On 27 January 2018, during the Seletar Bus Depot Carnival, Seletar Bus Depot was officially opened by Coordinating Minister for Infrastructure & Minister for Transport Mr Khaw Boon Wan. 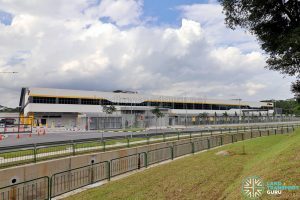 SMRT Buses was allocated parking space of 65 rigid parking lots and 16 articulated parking lots based on the bus depot layout plan in 2018, giving SMRT Buses additional parking space with regards to their nearby Ang Mo Kio Bus Depot. 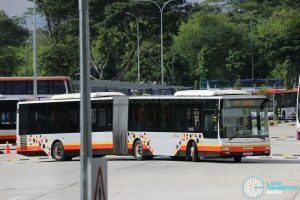 Since then, the only SMRT Buses parking at Seletar Bus Depot are SMRT Task Force 50 buses. 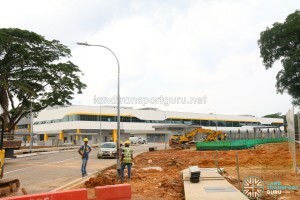 On the ground floor is a parking area for 525 buses, as well as bays for repair and maintenance. A separate area contains washing and refuelling facilities. 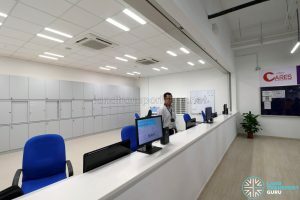 Located on the second floor are the Depot offices and Operations facilities, such as the Bus Operations Control Centre and NTWU Office. 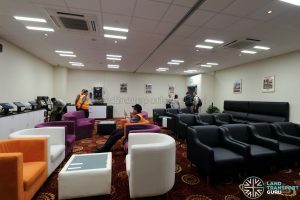 Crew rest and recreation areas are also located on the second floor. 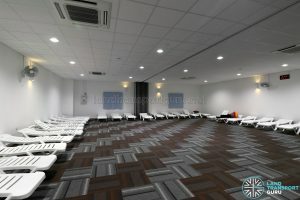 Facilities offered include a recreation room, a gym and various crew rest rooms. 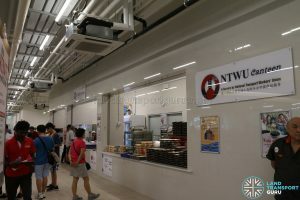 The NTWU Canteen on the second floor offers three food stalls for staff to choose from: Malay Food, Drinks, and Mixed Vegetable Rice. 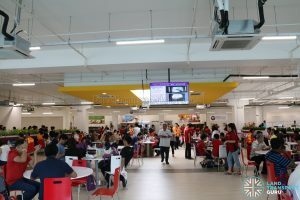 Television screens are placed around the canteen to display staff notices and reminders. Corner tables are also equipped with power sockets and USB charging ports for staff to recharge their mobile devices. 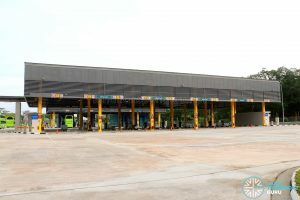 Under the BCM, Seletar Bus Depot is bundled with 27 bus routes as part of the Seletar Bus Package. 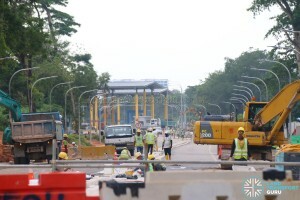 These routes would operate mainly from Yishun Temporary Bus Interchange, Yio Chu Kang Bus Interchange, and Ang Mo Kio Bus Interchange, with the Depot handling the operations of all buses operating on these routes. 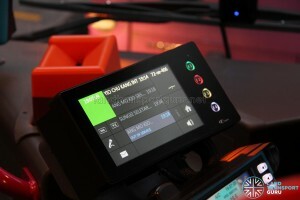 Trapeze CFMS Driver Display Unit onboard Service 72 (Terminating trip). 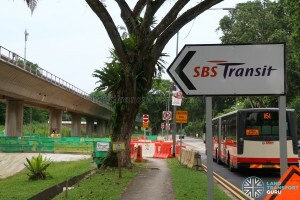 Notice that the bus is parked at Sungei Seletar Depot. 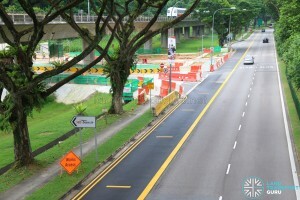 SBST should take 825,850e,851,852,853,854,854e,855,857,859 & 860 while SMRT takes 800,803,804,805,806,811,812 & 171.859 start from Yishun-Sembawang while 859A/B renumbered as 890.